I purchased this 12 string on line from L & M and it arrived in perfect condition, good packaging, well protected. It was almost in tune right out of the box! Very easy to tune and sweet sound. 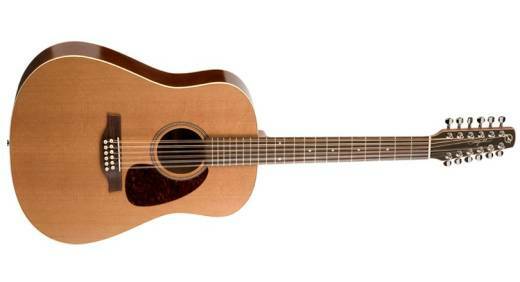 My only negative about this guitar is that the cedar top is very soft and easy to damage. I have put a small ding in it already with my finger nail! Handle with care!! Otherwise, a great guitar and good value. The quality of the wood and the skilled workman who made this unique guitar can be feel every time i play with. Amazing guitar, to be played to be believed. It should sell for a high multiple of what you get with this marvel. just try it to see. No wonder all the reviews go crazy over this one. I just purchased one of these 12 strings it was a toss up between this and a fender much nicer sound quality plugged in .Love the acoustic sound to.